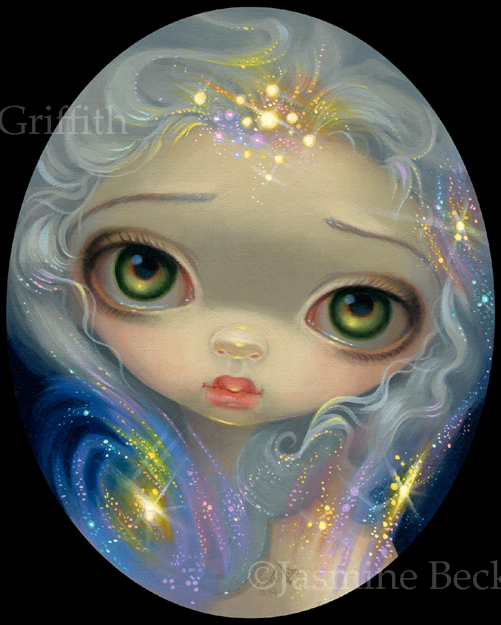 A piece I did for a themed group show at Seattle's Eight and Sand Gallery called "Stardust" - this sweet angelic girl is a childlike character surrounded by stardust and galaxies! This is my own original acrylic painting, the original has sold by the gallery, but prints, canvases and merchandise are available! The "Stardust" show will run from April 12-May 9 at Eight and Sand Gallery in Georgetown, Seattle - definitely check it out! 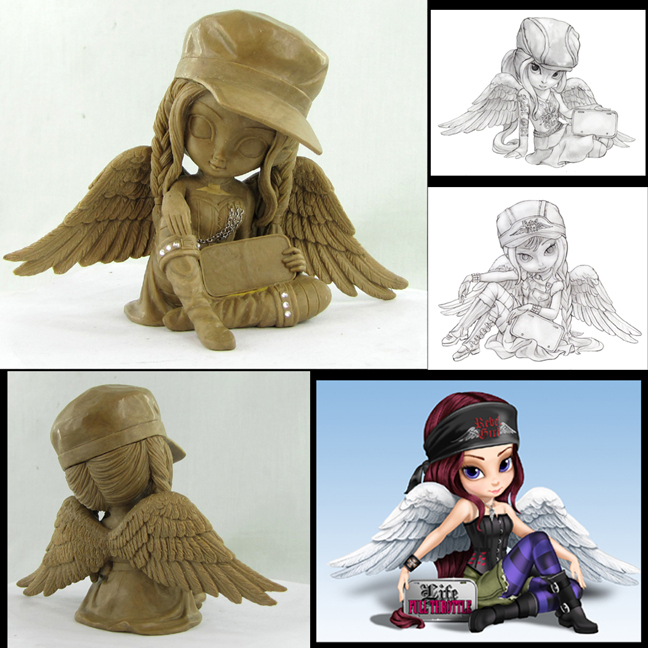 A "behind the scenes" look at a new co-branded project with Rebel Girl® and the Hamilton Collection - the early clay stages of some of my little biker girl faeries - these are so cute! Hamilton Collection figurines start with a pencil sketch, then a colour rough, then a clay sculpture - all before each one is cast into artists' resin and finally painted & shipped as a limited edition! For other fun figurines from the Hamilton Collection site (including some other cute motorcycle stuff), click HERE to see which lines are currently available. Work-in-Progress! Putting the final touches on my painting of Ariel, debuting at my May 3rd event at Pop Gallery Orlando at Downtown Disney. Almost done!! Acrylic painting on 16x20 panel, will come in a gorgeous ornate gold frame and original will be priced at $6400 (paper & canvas prints will also be available for all budgets!) 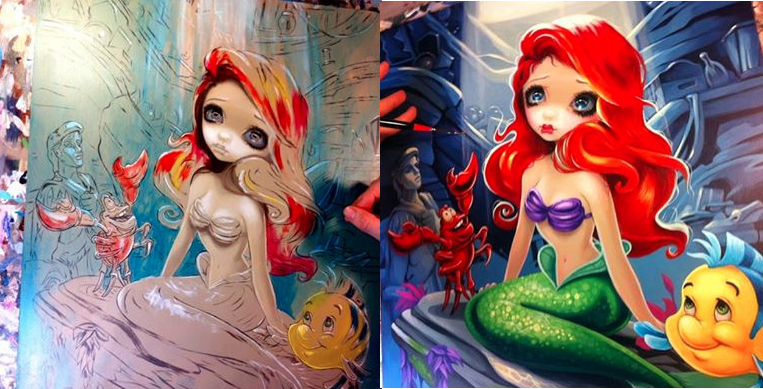 - if you are interested in purchasing the original please contact Pop Gallery at popgallery@me.com or call them at: 407-827-8200 and ask to be put on the Jasmine VIP List for "Part of Your World" - Jasmine's Little Mermaid painting. Details about the event can be found HERE. Licensed & ©Disney. Click HERE to see my other currently available original paintings, including other Disney licensed work!